Technology always has succeeded to draw the interest of the audience, and by leveraging the same, we have gained immense popularity as best outdoor advertising company in Ahmedabad. The LCD digital signage advertising Kiosk is one of them, provides stylish digital exposure to your brand, product or service at hotels, malls, museums, stations, airports, stadiums, or any other place you desire, be it outside or inside, it has proven to be an effective way of engaging more consumers. Our best in the class LCD digital signage advertising kiosk in Ahmedabad has all the capabilities to advertise, broadcast information, convey the message to the targeted audience with the high-quality display (images, videos, and messages) assure to drive the highest Return on investment. The compatibility with the laptop, HD media player, PC, USB connector entitles you to advertise your brand more easily and promptly, what you required is to just plug and install in the kiosks internal memory is the mainstay of its towering popularity in Ahmedabad and other big cities and towns of Gujarat. Going digital eliminates the need for a certain number of printings and installing charge and hence makes the fast, easy, and low-cost affair. The high number of businesses going digital to be distinctive in the crowd and reroute the highest traffic. 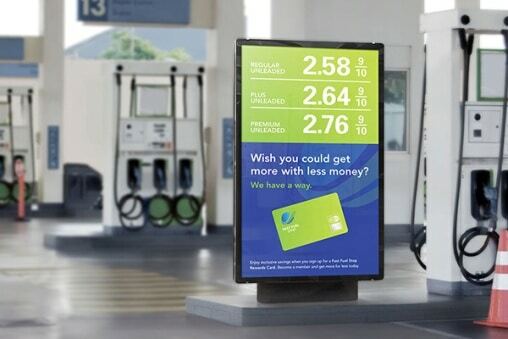 We have hundreds of customers who have selected to go with our LCD digital signage advertising kiosk for their branding and find it worth to get the instant and noteworthy attention of the targeted audience at notably low rates.